I picked up another batch of tops from the Stitching Sisters group. 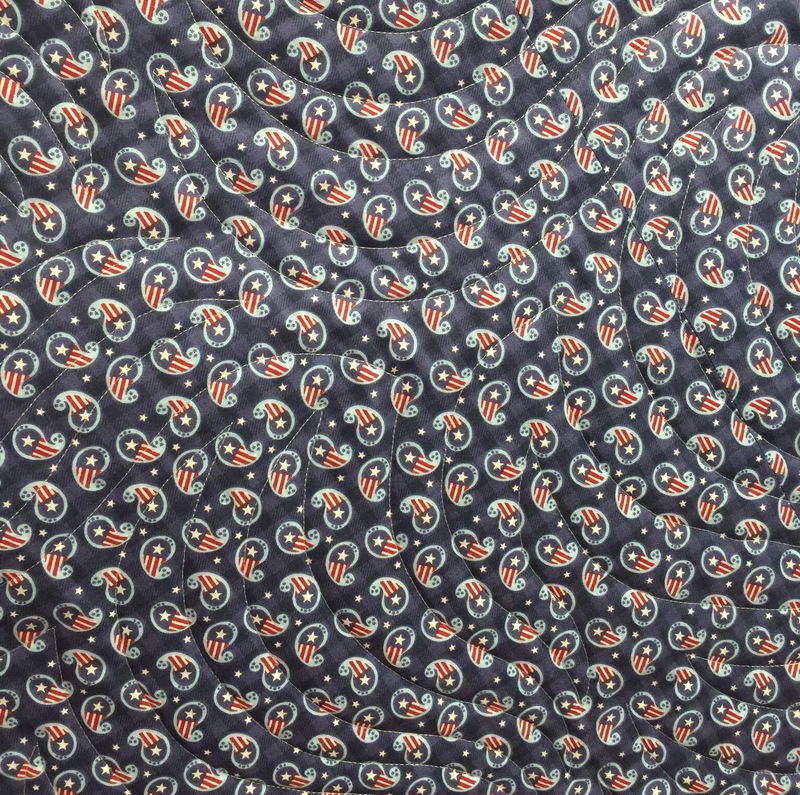 Here is the first one quilted. It’s a lovely top, so flat and square. I wish I had a better way to take photos so they looked flat and square! But I only photograph these indoors since I don’t want to chance getting them dirty. I used a pantograph called Fern Gully. Here is the back. And the next one is loaded and ready to go! 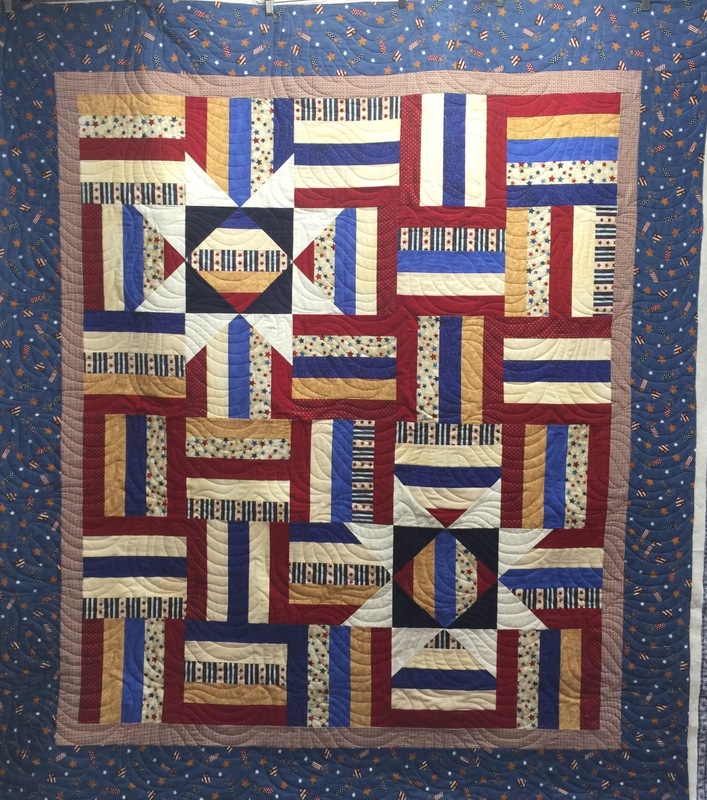 This entry was posted in Finishes, Long Arm Quilting, Longarm Quilting, Pantographs, Quilt of Valor. Bookmark the permalink. 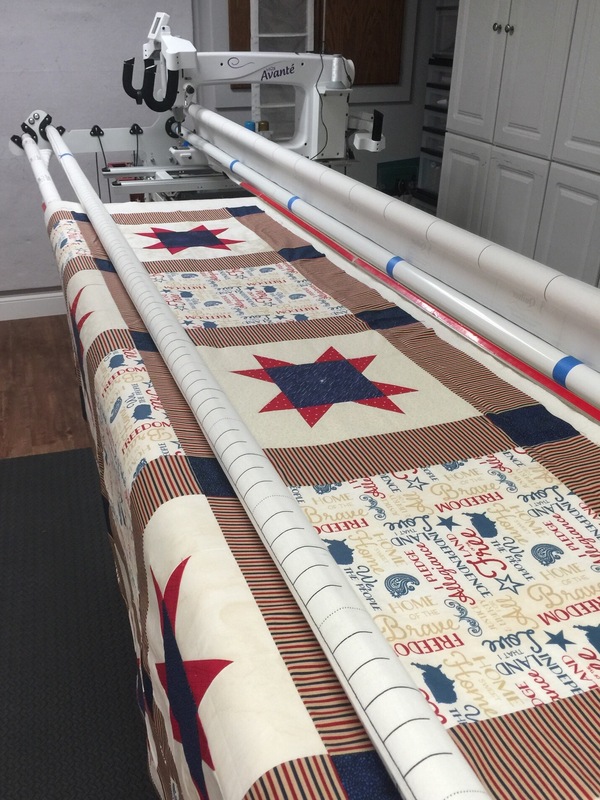 5 Responses to Quilts of Valor! That one is really cool!!! Have you kept track of how many QOVs you’ve done? It’s so inspiring to see how often you are working on them! So many talented quilters who so willingly make these lovely quilts! 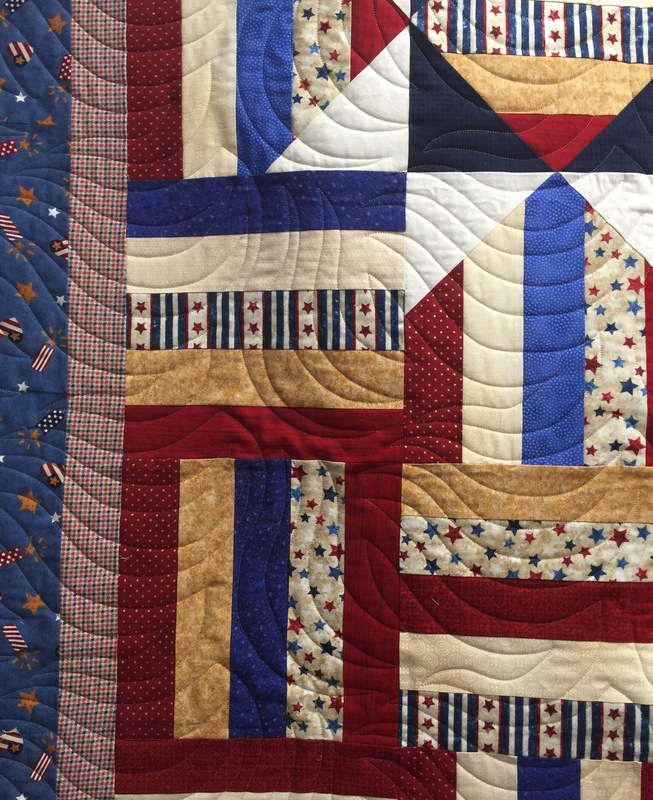 Your talents make our Quilts of Valor even more special. Thank you for all you do for QOV, Katy!